For every woman who has ever wondered if she gives enough . . .
As mothers, grandmothers, nurturers, and caregivers, we are often tempted to view our ordinary daily contributions as an endless string of undersized tasks, none of which seems worthy of any special consideration. But they are. This collection of small and simple moments provides reassurance that — although our humble, little offerings may not seem significant at the time - these tiny acts undeniably make an immeasurable difference in the lives of those we love. DeAnne Flynn captures the magic of small moments in motherhood--whether mothering your own children or those around you. She shares "offerings" that we as mothers give, or can give, to our children and others that will help to shape the lives around us while providing the necessary knowledge of a mother's love. Being a mom is not easy work, and often we feel that what we give is not enough, but Flynn implores that it IS enough. 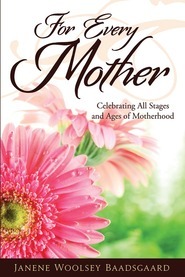 This is a beautiful, inspired book that will leave moms of all types feeling uplifted and willing to give more. Her words are graceful and eloquent and speak to the soul. The only thing she missed? About 100 more pages! Uplifting, funny, and inspiring to continue doing the small things, loved it!! This is my new bedside, kitchen counter, take in the car book. I loved the heartfelt offerings by mothers of all kinds and ages. What a sweet reminder to keep doing the small things and it does make a difference. Thank you for the inspiration to make offerings to those in my stewardship and beyond. I want to share this with all my friends! I love everything about this book. The cover/design is so eye-catching,..I love it. (Oreos are my favorite cookie!) The stories touch your "mother heart". I especially love the short little examples from children given every few pages. Show us moms that our kids really do notice the little things we do. This should open the flood gates of affirmation and support for mothers everywhere. I read this book in one sitting. It felt like someone was gently reminding me that all the small and simple things I do each day as a mother and grandmother really do matter, are of eternal value, and are impacting those moments I get to share with my family. It felt good. Thank you. Mother's Might is a delight! "The Mother's Might" is a celebration of motherhood. I loved this book and the message it gives to all mothers: slow down, celebrate life, express love every day in small and simple ways! Snuggling with this book on the couch was a terrific way to spend my afternoon... it has inspired me to break out the china tea cups, jump on more trampolines and learn to make asparagus soup! A quick read, DeAnne's book is an effort to encourage all of us to do the little things that come to mind when we think about our children. I know it has helped me think of taking the extra time to show them my life through little acts of kindness or moments spontaneously given to my children throughout my day. Thanks! Great messages in this book. It's important to voice what our mother's do in virtuously raising another generation of leaders and responsible, caring people.This book helped me realize that what I do is very important, not just a little important. Thank you. One of the mantras I post on my fridge by Mother Teresa says 'Be faithful in small things because it is in them that your strength lies.' 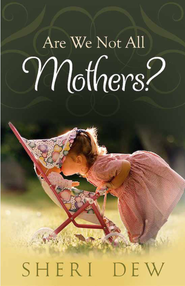 DeAnne Flynn's newest book, The Mother's Mite has "small thing ideas" on every page. It convinces us as mothers that it really is the small and simple acts that matter most in building relationships. If you want to feel validated in knowing your offerings do make a difference, read this book. If you need fresh ideas and new inspiration to help you show the love you feel for your family, buy this book. The format, pictures, recipes and ideas are easily read and put into action. I sat down to read and couldn't put it down. Sometimes it is easy to get discouraged as a mother and you wonder if what you are doing even matters. I loved how this book shows how we can see things in a different perspective and know that it DOES matter what we do! 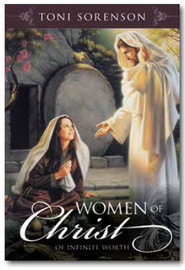 What an inspirational book and a must read for any woman out there! I LOVE THIS BOOK! When I got it, I stated to read it through quickly, but soon realized that I wanted to savor every minute. So every day I have time when I make a cup of peppermint tea and read a section. I love the way it makes everyday mothering a grand experience full of wonder. As I reflect back on the time spend with my child, it validates even our smallest efforts. It is a warm fuzzy for moms. Also, it gives great ideas for parenting children and someday hopefully grandchildren. Can't want to try the recipes. I have often said that 99.1% of parents want to be good parents, but just don't know how. This book gives some wonderful "instead" ideas (or things people can do instead of negative parenting) without sounding preachy. The writing style flows gracefully, and is just a joy to read. Truly lovely and inspiring. A great gift for anyone on your list. The Mother's Mite brought back a flood of beautiful memories from my own childhood and made me remember why I love being a mom. Simplicity is the word that comes to mind when I think about the things that really matter most to our children. I am so grateful for this sweet little book and will keep it on my bed stand so that I might be reminded everyday.